We provide a wide range of Derusting Chemicals that is a widely acclaimed for purity and effectiveness. Processed using environmentally safe acids, these Derusting Chemicals are the cost-effective solution of removing rust, scales and welding scales from metal. 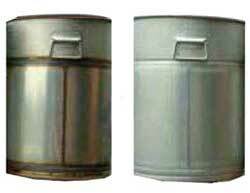 We offer the Derusting Chemicals in different quantities to meet diverse requirements of our esteemed clients.